TWO students involved in the Baptist University (浸會大學) Putonghua row have been suspended temporarily. 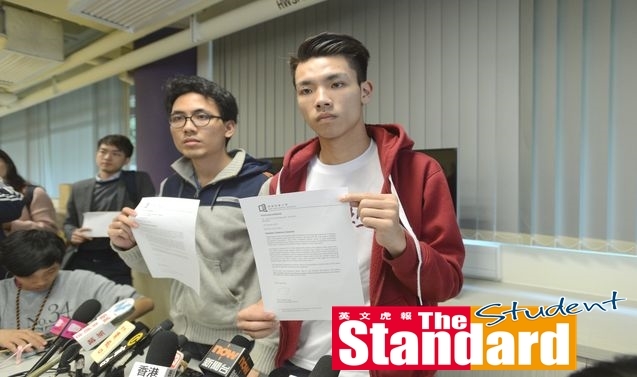 Soon after student union president Lau Tsz-kei (劉子頎) and another student leader, Andrew Chan Lok-hang (陳樂行), made public apologies for physically intimidating staff at the Language Centre (語文中心) on 24 January, university president Roland Chin Tai-hong (錢大康) announced that the pair would be suspended for breaching the students’ code of conduct. “Two students involved will be temporarily suspended with immediate effect until our disciplinary committee finishes the report,” Chin said. Without naming the two students, Chin said the pair will be barred from classes and exams during the investigation, which could take a few weeks. They are permitted to enter the campus. The students could be expelled from the school in a worst-case scenario. 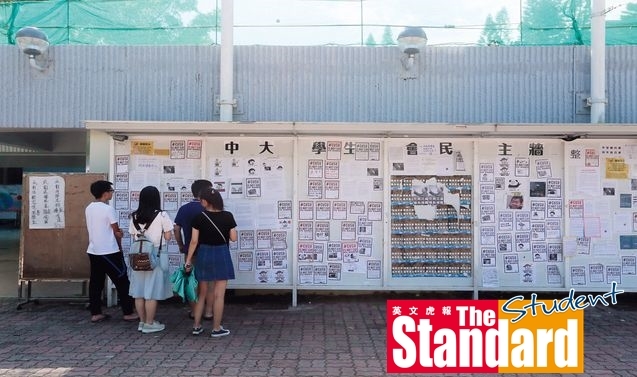 The tough action immediately drew condemnation from the Hong Kong Federation of Students (香港專上學生聯會), claiming it will further restrict freedom of speech on the campus. Democratic Party (民主黨) lawmaker Ted Hui Chi-fung (許智峯) said even though he did not support the students’ actions, the punishment will harm the students’ future. Lau and Chan both confirmed receiving a suspension letter from the school. Lau said:“It’s really shocking and ridiculous how the school decided to suspend us before even investigating. “No matter what has happened, it won’t stop me, as the union president, to fight for the cancellation of Putonghua graduation requirements for all the students,” Lau said. The student union’s editorial board said it was informed following the incident, that the student union can only send mass mail after getting the approval of the school. It said it made inquiries with the office of student affairs, but has yet to get a reply. Lau and Chan, along with about 20 students, stormed the Language Centre to protest the lack of transparency of a Putonghua exemption test, resulting in an eight-hour standoff. In the past, Baptist students had to complete a Putonghua course – which a majority of students resented – to graduate. The university introduced a test last year, saying those who pass would be exempted from taking the course. But 70 percent of those who took the test from last October to November ended up failing and had to take the course. Student union members said the marking scheme for the test was not transparent and that the university should abolish both the course and test. A viral video shows Lau and others intimidating staff. Lau is also heard using foul language. The university said an initial investigation had found that the two students had breached the institution’s code of conduct.